Wonderful!! What to say more? Thank you for sharing your wonderfully composed little gems of haiku with Carpe Diem. I like the idea of the daddy being the one who makes and rocks the cradle! Preparation of cradle with the coming of spring … this s as beautiful as it can get !!! Thanks Adriana 🙂 You spread smiles ! 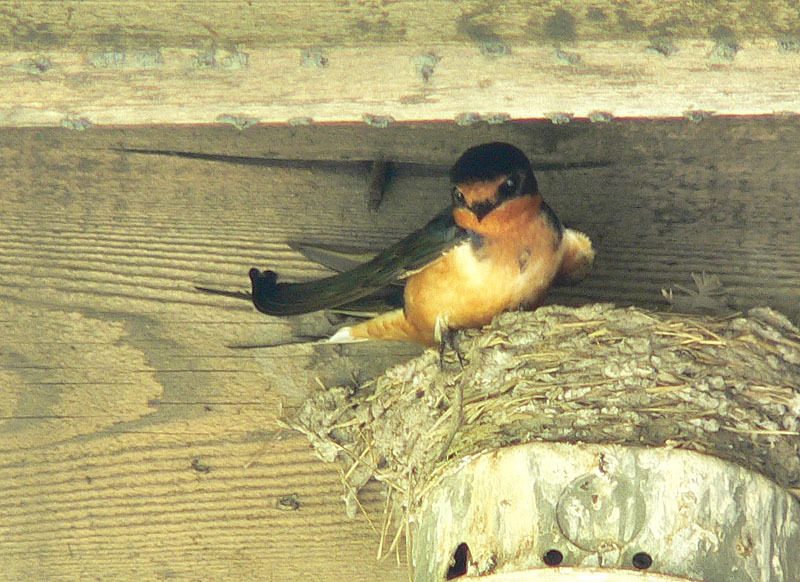 The swallow making a nest……………… so motherly. beautiful lines. The male swallows aren't the only male birds to do housekeeping and child-rearing chores. Birds are fun to observe! Love the image of the cradle! Very cute. Swallows are so great. Those six lines. They put me in the middle of a spring. 🙂 pretty neat and short words for spring! I like it!